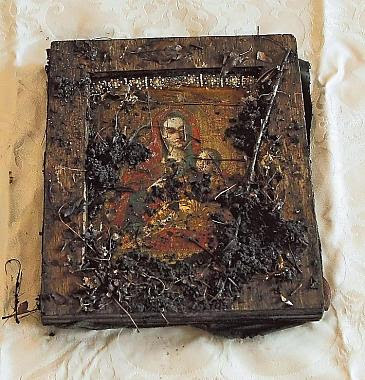 Riikka Köngäs, Head conservator at the Valamo Monastery, burst into tears in the monastery’s main chapel when she had to say goodbye to her ”dear child”, the miraculous icon of the "Theotokos of Kozeltshan", depicting the Virgin Mary. 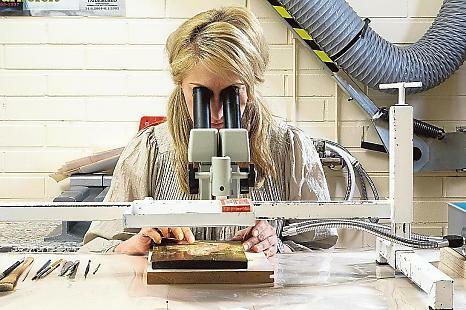 Over the past six months, Köngäs has been restoring the work of ecclesiastical art to new glory. 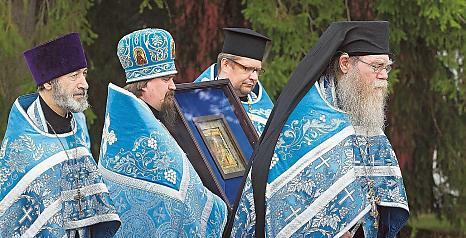 The icon was stolen in June 2010 from Helsinki’s Orthodox Uspenski Cathedral, and in February 2011 the thief told police where the stolen icon was cached. For six months, the icon had been covered in dirt under a layer of soil and snow. Even though the pieces of jewellery that had been placed around the icon by parishioners had long since gone missing and the background of the painting had been tarnished, the picture itself looked bright. Archimandrite Sergei, the Head of the Valamo Monastery, handed the priceless icon over to Markku Salminen, the Vicar of the Orthodox Parish of Helsinki, at a prayer service on Tuesday. The ceremony was attended by more than 100 listeners, including a busload of tourists from the municipality of Joutsa. 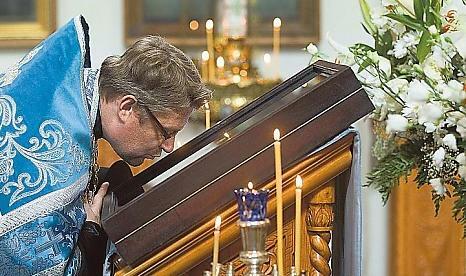 Salminen considered it strange that thieves do not show any respect for the church and its sacred premises. ”However, the time of miracles is not over”, Salminen noted, alluding to the man imprisoned for the theft coming forward much later with information on where the icon was hidden. The vicar praised the professional handling of the matter displayed by the police. The icon was immediately returned to the congregation without waiting for the results of the investigation. In this way, the 156-year-old icon of the "Holy Mother of Kozeltshan" could be sent quickly to the professional restorers for treatment. The first night after the discovery the icon spent in the vicar's refrigerator, from where Riikka Köngäs came to fetch it. The most important thing was to wait and have patience to allow the icon to dry in the right temperature and humidity conditions. 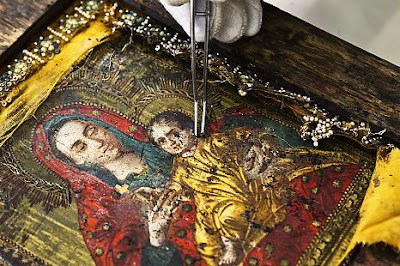 In all, the conservation work went well, even though all details of the icon could not be restored. The icon of the "Theotokos of Kozeltshan" will be formally returned to the Uspenski Cathedral in a procession moving through the centre of Helsinki on Saturday, August 13th at 18:00.